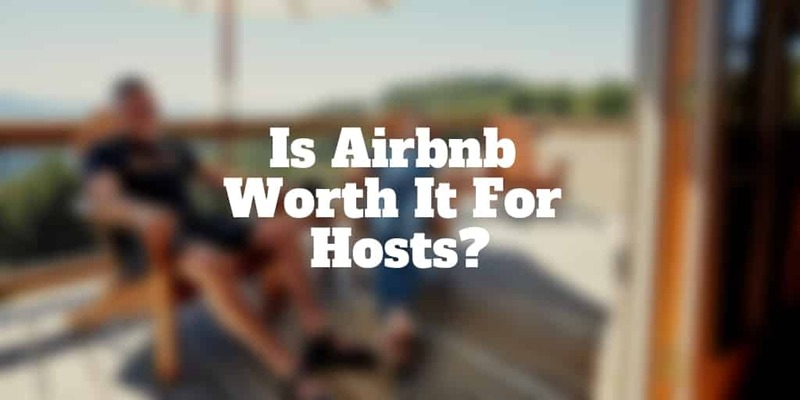 Home › Real Estate › Is Airbnb Worth It For Hosts? If you’ve been on the fence thinking about becoming an Airbnb host, you’ll need to know the pros and cons before opening your doors to new guests. The possibility of extra income is alluring but at what cost? Allowing a stranger to stay in your home comes with risks, so it’s important to become familiar with them in order to answer the question: Is Airbnb worth it? How Much Can I Airbnb My House For? Picking a price point for your Airbnb will depend on where your home is located, how large it is, and what amenities or points of interest are close by. Airbnb has an estimator to help you set a price. To use the estimator, just enter in your location and what you want to rent out. It’s also a good idea to check other rental properties in your area to make sure that you’re asking a fair price for those who are traveling to your city. Include the number of guests you can host and Airbnb will give you a weekly average estimate. For instance, a two-bedroom apartment located in Brooklyn goes for around $1,120 a week while in Houston, a traveler can rent a home for anywhere from $1,100 to $2,000 a month depending on the time of the year. Before signing up with Airbnb, check local laws to make sure that you can legally rent your property. The payoff of signing up to Airbnb as a host can be lucrative but you should go in with your eyes open so you know both the pros and the cons. As a host, you get to set your own price so that you can make sure you’re earning enough. You also have the flexibility to rent out your home on your terms. When you plan to be away over the summer months, you can open your home up to guests. Or if you have a rental property, you could choose short term Airbnb rentals that may generate more income when compared to the alternative of a long-term tenant. It could also be a good option for homeowners who are traveling and would prefer to have someone occupying their home while they’re gone versus leaving it vacant and exposed to the prying eyes of opportunist burglars. Along with making a little extra cash, hosts have the opportunity to make new friends and form connections with people from around the world. One of the main reasons that travelers like to use Airbnb is because it gives them the opportunity to have more authentic travel experiences because they stay alongside residents instead of other travelers. While there are many benefits to earning money by renting out your space, be sure to consider the cons. For instance, you will be renting your place to people you don’t know. 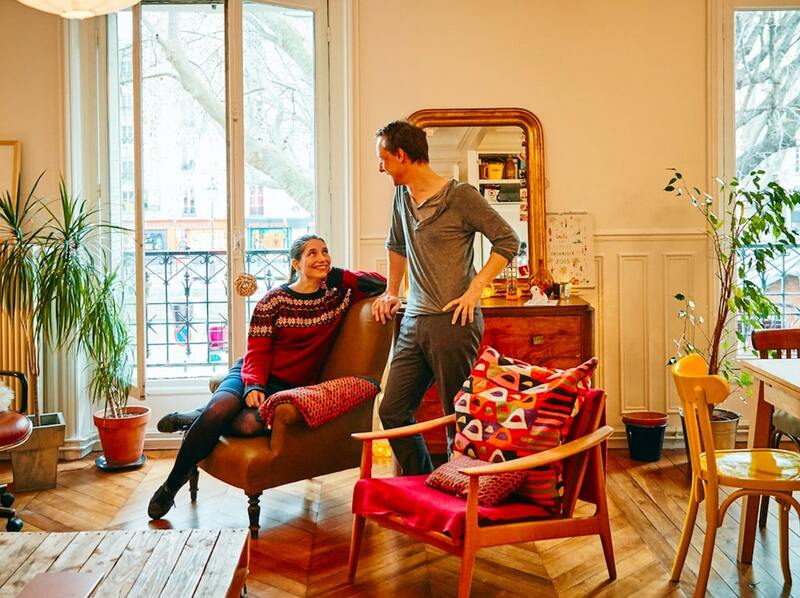 Airbnb has a few ways to vet guests, but guests are strangers nonetheless. Once you agree to be an Airbnb host, you can review a traveler’s ratings and reviews before agreeing to let them stay. You’ll also have access to a private, secure messaging system that allows you to ask travelers questions. This will give you a better sense of who they are. Likewise, they can ask you questions. It’s a good idea to ask a prospective guest for scanned government-issued identification to confirm their identity. No matter how trustworthy a guest is, it’s best not to leave temptation in their way. Store the diamond jewelry and gold rings ahead of time. If a valuable does go missing, Airbnb Host Protection insurance may come to your rescue but it’s not an all-inclusive policy. For example, it doesn’t cover things like cash and jewelry. Pro Airbnb Host Tip: When you’re listing the details of your property, confirm that the list is accurate. If it isn’t, then your guests can request a refund. When you decide to become an Airbnb host, you are entering the hospitality business. You’re not merely sharing your home. Essential Amenities: As a host, it’s up to you to make your guests comfortable. Plan to provide clean linens, towels, cleaning supplies, and soap. Also, make sure that your guests have coffee, tea, and kitchen utensils. Be Responsive: When guests inquire about your home or make reservation requests, hosts are expected to respond within 24 hours. Accept Reservation Requests: Whenever you are available, you are expected to accept guests and make them feel welcome. Avoid Cancellations: Guests take travel plans seriously. If they’ve already booked flights and a place to stay in your home, it could be very disruptive and costly for them if you cancel. Maintain High Rating Overall: When guests book on Airbnb, they expect the quality of homes to be consistent and high, so it’s up to you to keep high standards of cleanliness. Once you’ve signed up with Airbnb, the company will send you a checklist so that you can be ready for guests. To make them feel welcome, create a guest greeting. The greeting should include instructions for how everything works in your residence as well as home amenities. Give your guests the internet password, directions to the nearest coffee shops, transportation hubs, and a list of restaurants. The little things that take a bit of time can pay off big when your guests rate you as a host. Airbnb charges its hosts a 3% fee to process payments. Pro Tip: If you are planning to rent out your home regularly, you can pay an annual fee to advertise, which is cheaper than paying a commission for every booking. With preparation, you can avoid the complications and unnecessary costs that might come with being an Airbnb host. For instance, you may wind up owing an unexpected tax bill. Here are a few tax guidelines to keep in mind. If you rent out a residence that you own for 14 days or fewer a year, then you don’t have to report it as income. If you do rent out your personal residence for more than two weeks within a year, you will need to report the money you collected as income. If you purchase a property that you don’t intend to live in full time, such as a vacation home, and rent it, then you’ll need to report the money paid to you as rental income. You can deduct rental costs, but be sure to separate them from any expenses that you incurred when you were using the property. Along with the cost of buying and laundering things like towels and linens, cleaning is another expense that you should budget into your Airbnb costs even if you’re doing the work. Depending on how much time you have, it may be worthwhile to hire a cleaning company. Otherwise, you will have to pay for cleaning products. Self-cleaning means that you’ll pocket a lot more of what you’re making from hosting through Airbnb. You can require guests to pay the maximum amount allowed for cleaning and do the work yourself, increasing your profits. Along with the financial benefit, this option gives you complete control over where everything is placed after your guests leave. That way, you will know where everything is when you’re using the property. The downside to cleaning the home yourself after your guests leave is the time that it will take. Depending on the size of your rental and the cleanliness of your guests, cleaning up could be a time sink. If cleaning were to take up to a full day, your occupancy rates may decline. Hiring someone to do the cleaning for you comes with its own set of pros and cons. You could hire a company to get the job done fast, or you might hire an individual cleaner who you can train to clean the way that you prefer. Professional cleaning companies know how to clean a home to make it ready for hosting. They also have experience in cleaning up after guests who are messier than the norm. Before hiring anyone to clean your Airbnb, be sure to read company reviews or ask for recommendations. Insurance costs are necessary but companies like Lemonade and Allstate could save you money. 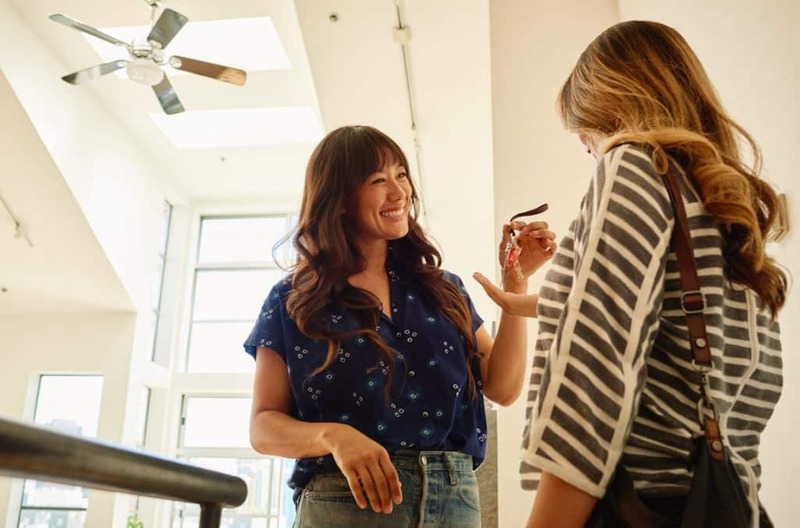 Some home insurance policies include coverage for short-term rentals, but for multiple short-term visits, your rental company may insist that you purchase a business policy, one that protects bed and breakfast or hotel owners. If you’ll be renting your home to one person or a family for a longer stretch, then your insurance company may need you to shift into a rental dwelling policy. According to estimates, this type of policy can run you about 25% more, so set your rental costs high enough to ensure that you’re not losing money. Other hidden costs that aren’t immediately obvious day one include consumables, like coffee, paper towels, and toiletries. You may also have the cost of some food if you’re kicking your hosting responsibilities up a few notches by supplying breakfast items or snacks. Plan on utility expenses increasing too. They may run higher than before when guests leave the lights on or use more water than normal. Be sure to purchase a fire extinguisher and change the batteries in the home’s fire alarms regularly. Wear and tear on furniture, dishes, and flooring are other hidden costs of an Airbnb. Maximize your Airbnb income by being flexible about your pricing. For instance, if you live in an area that brings travelers because there is skiing, then charge more in the winter and less during the summer months. The nice aspect of hosting on Airbnb is it’s always up to you whether you decide to host someone. 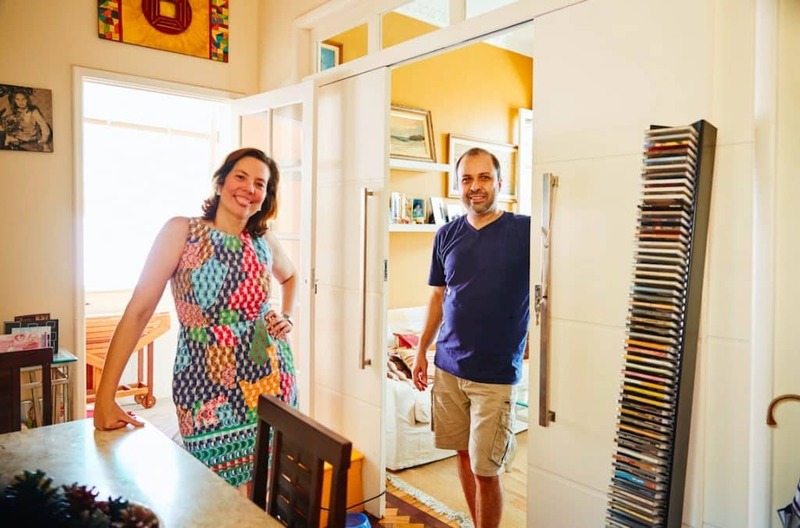 Hosting an Airbnb requires some research and up-front costs, but deciding to take this step also has benefits like making new friends and added income. It really is something that is a win-win most of the time for everyone involved.